Where’s the innovation with choice and charters? Betsy DeVos has said, it’s how you go from a closed system to an open system that encourages innovation. People deserve choices and options. Advocates for choice and charters often refer to innovation—like parents are going to find something unique and wonderful with vouchers. But what are those choices? Go looking for them and they are hard to find. Some charters advertise subjects stripped from traditional public schools due to draconian reform and privatization. But that’s not innovation. It’s theft! Charter schools might have unique titles, but scratch beneath the surface and most of them are run the same way—with data, character education, and rigor. Students and parents must comply with rules. Charter managers can reject students who don’t follow those rules. It’s difficult to find real innovation in charter schools. Consider their titles and what happens in the schools. Putting “Classical” into a charter title is popular. One might think it means students will listen to classical music, study ancient Greek or Latin art, literature, and culture. But that’s not always the case with charters. Some discuss the Trivium which consists of the Grammar Stage, the Logic Stage, and the Rhetoric Stage. This doesn’t seem innovative. Traditional public schools could do this. And often, if you look up charters with classical in the title, you will find students in strict schools working hard to pass tests. Here’s the first classical charter I found. Children look well-behaved and walk in a straight line. There’s talk of character education and data when referring to classical, and they emphasize that they teach Latin. Parents might want to check before they leap into a charter school with classical in the name, especially if they expect their child to learn about Mozart or the Parthenon. It may only mean a touch of Latin and plenty of rigor. Like classical, “Renaissance” is used in charter titles. The Renaissance was a period in European history during the late Middle Ages, beginning in the 1300s and ending in the 1500s, when the modern era began. Renaissance schools don’t seem to do much different than Classical charters. Renaissance means “rebirth” or “awakening” from. Here’s a Renaissance school that advertises subjects that are often stripped from traditional public schools like geography, humanities, and the arts. “Preparatory” charters and “Academies” are related to classical and renaissance. Often these names are used interchangeably. Those titles remind us of well-to-do schools in the northeast. Here is a prep charter school that offers career preparation. But traditional high schools have always done this. 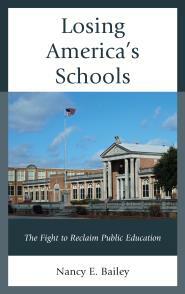 Charter Schools USA have been around for a long time and are controversial. They don’t look any different than the others. Renaissance is used in this title. They also emphasize personalized learning which is controversial and being pushed in all schools. There are a few Democracy Charter Schools which I would say is an oxymoron. Charter schools rarely run democratically. Most have CEOs or a management company. Similarly, a lot of charter schools call themselves community schools when they don’t include the community in decision-making. Fordham professor Mark Naison wrote a good post about what constitutes a real community school. Some charter schools hint of religion even though we’re supposed to have Separation of Church and State. Cornerstone is an example, but, putting that aside, they don’t look unique. This Cornerstone emphasizes rigor and character education. Some parents like Waldorf or Steiner schools, whose charters now dot the country and the world. Waldorf does do things differently, emphasizing the arts and rejecting technology, but their curriculum is based on the religious teachings of Rudolf Steiner. I recommend reading about his beliefs before you enroll your child in the school. And if your child is in a Waldorf School already, ask them if they use a black crayon. KIPP is the best known charter chain. There are now so many KIPPs they’re like a school system. So they sometimes call themselves the name of the old public school they ran out of town. Like KIPP Washington Heights Middle School. I think that’s sneaky. KIPP has a strict approach to education…which has led the way to other strict charter schools. Global Charter Schools appear to be international-like schools. The first Global charter I found online, while it has the highly coveted U.S. News and World Report BEST school (for people who like that sort of thing) doesn’t demonstrate anything unusual. They have a few Cultural Day celebrations which are nice, but traditional public schools do that too. The public high school I worked in did. This charter teaches a foreign language. Almost all public high schools do that. I see nothing else that strikes me as globally unique. Even their menu has American food, no Pho or Sushi or any other unusual cuisine. There are many STEM (Science, Technology, Engineering, Math) charters promising to put students in science jobs. Just how many of those jobs exist is debatable according to which research study one reads. If you have art and science charter schools they are STEAM (Science, Technology, Engineering, Art, Math) Charter Schools. STEM and STEAM can be found in traditional public schools too when they have funding for such subjects. Beacon Charter High School for the Arts includes instructing students about the visual arts, drama, and the culinary arts. Nothing better demonstrates how troubling privatization is, than watching the arts stripped from traditional public schools, then finding charters that focus on the arts. Still, while teaching the arts is lovely, it isn’t anything different. Good high schools (and elementary and middle) have always taught the arts when funded. Some charters offer classes that belong in college. Betsy DeVos recently visited Pitbull’s school called SLAM Sports, Leadership, and Management. SLAM takes students in grades 6 through 12, and they are to study sports medicine, sports media production, or sports marketing and management. They supposedly also slip Common Core into those college-like classes. Should 6th through 11th (or even 12th ) graders be pushed into careers so early? Shouldn’t this age group be learning a wide variety of subjects in order to make a vocational choice later? Many believe that transforming all public schools to digital is the end game of school privatization. Clayton Christensen has called it “Disruptive Innovation.” The fear is that someday, maybe soon, there will be no more brick-and-mortar schools or teachers—just students sitting down anywhere to look at their computer. Some charter schools are paving the way with personalized learning. One could call this digital transformation innovative. But no studies indicate children learn best this way. So while school reformers like DeVos might dupe Americans into believing innovation lies in choice and charters, real innovation would really be found back in traditional public schools—if professional teachers were given the chance. Let me know your favorite charter themed school name if you have one. Probably there will be someone who tells me of a charter school that is sending students to the moon to learn. That would be innovative! Yes, “real innovation would really be found back in traditional public schools—if professional teachers were given the chance”. Unfortunately though, traditional public school districts are very adept at bullying, intimidating, and blacklisting professional teachers that are not in ‘compliance’ with their version of “data, character education, and rigor”. Teachers being innovative is not on their acceptance list unless it is administrative compliant. When that happens, we have to part ways with the traditional and embrace, with hope, a charter school that might possibly offer a ‘better way’. I know this first hand, along with being acquainted with colleagues on the charter school circuit that have experienced the same. We often see that that charter schools hire administrators from the local school district as they bring all of the bad habits they were taught as school district administrators while they do the the pension/salary ‘double dip’. 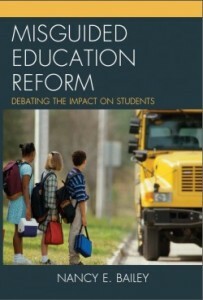 I also sense that school districts are playing along with charter entities, appropriating concepts good, bad, and sad. I suppose I should return to the original charter school concept proposal and see where it went wrong, aside from the profit/money motive, because from where I sit traditional public schools need improvement of their structure and system as well. I have seen many problems come from school districts being too large with their hierarchical management having too much power. They are ‘top heavy’ with non-teaching patronage positions that need to be redirected, financially and physically, into classroom teaching positions. Other than my two cents said, you hardly need me to let you know how accurate and poignant your “Unwrapping Charter School Titles: Where’s the Innovation?” is. It is so good that I doubt any of the charter school nabobs will be able to accept it beyond denial. Traditional public schools were never perfect, but they did a decent to excellent job. The original concept of charters was not about management companies running schools with teachers in subservient roles. You make good points. Thank you for taking the time to comment.